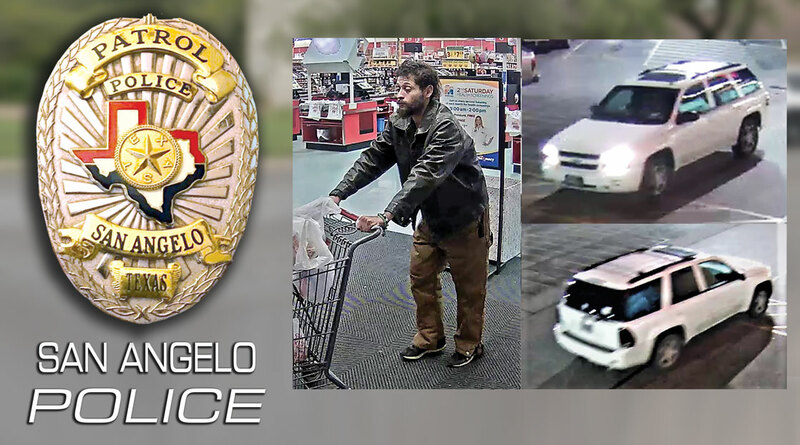 SAN ANGELO, TX -- The San Angelo Police Department is looking for a forgery suspect. He is an average sized man with dark hair. He was last seen wearing brown pants and a black leather jacket. He was also seen driving a white Chevrolet Trail Blazer. If you have any information you can submit a tip online, text TIP SAPD to 888777 and follow the prompts, or on the SAPD Facebook page.